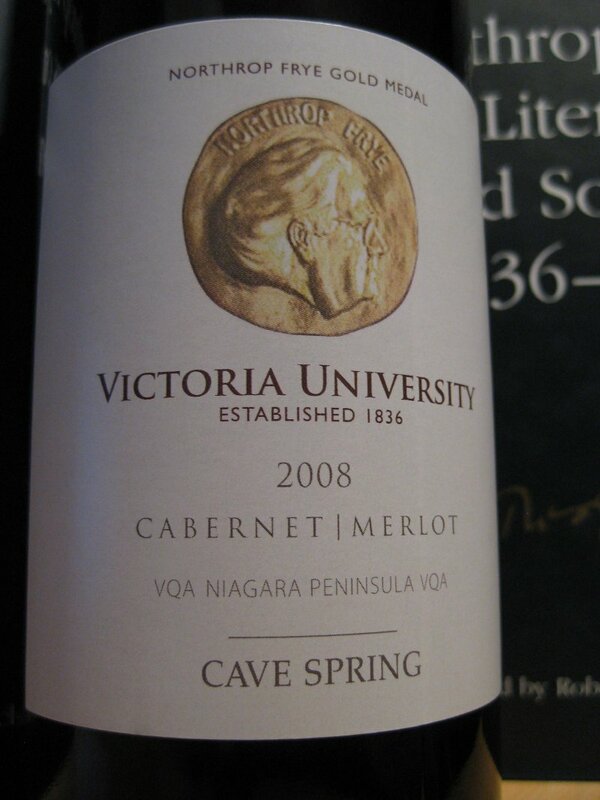 The Northrop Frye Gold Medal line includes, besides Cabernet Merlot, Riesling, Gamay, and Chardonnay. Does anyone know what Vic 3T3 and Emm 3T6 mean? Yes, Vic 3T3 means class of 1933. It’s a U of T tradition. I don’t know what they do now. Well, Clayton, full consciousness with lowered inhibitions. Which sounds pretty good.